Clean atmosphere front desk receptionist was very nice & helpful. The doctor was very nice down to earth and easy totalk to great beside manner. His assistant was also very nice he even let me squeeze the blood out of his hand to relieve my nerves. Overall it was a good visit. Clean atmosphere front desk receptionist was very nice & helpful. The doctor was very nice down to earth and easy to talk to great beside manner. His assistant was also verynice he even let me squeeze the blood out of his hand to relieve my nerves. Overall it was a good visit. I love this place! The front desk, assistants, Joyce the hygienist and Dr. Sakhaee are all amazing. The hygienist was verythorough in her cleaning and I feel like I have new teeth. Dr Sakhaee listened to all my concerns and set up a great treatment plan for me. Everything was smooth and easy. I am usually very nervous at the dentist but at Metropolitan Smiles I was at ease. Definitely recommended this place to friends and family. I love this place! The front desk, assistants, Joyce the hygienist and Dr. Sakhaee are all amazing. The hygienist was very thorough in her cleaning and I feel like I havenew teeth. Dr Sakhaee listened to all my concerns and set up a great treatment plan for me. Everything was smooth and easy. I am usually very nervous at the dentist but at Metropolitan Smiles I was at ease. Definitely recommended this place to friends and family. 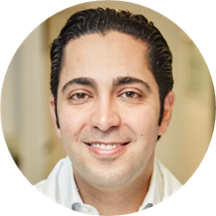 At Metropolitan Smiles, our dentist, Artin Sakhaee, DDS prides himself in providing affordable dental care in Kew Gardens, New York. Our practice services the greater Queens County, New York including the cities of Kew Gardens, Forest Hills, Jamaica and Richmond Hill. Dr. Sakhaee offers general check ups, teeth cleaning, cosmetic dentistry, teeth whitening services, sedation dentistry, fillings, dentures, crowns, invisalign and mouth guards. Our dental office accepts most insurances including PPO, Care Credit and we also offer financing for those who are eligible. Artin Sakhaee DDS believes that maintaining good dental hygiene can help to improve the quality of life of his patient through both enhanced self esteem from cosmetic dental procedures and by resolving conditions which can affect a patient's eating habits. Very professional and organized office, it was my first visit and I am very happy with the service. I will definitely recommend to my family and friends. Everyone is always pleasant and kind. Atmosphere gives an at home feeling. I arrived early so I was the second patient, I recommend scheduling the first available appointment if you want to be in & out. The crowd will arrive around 10 am. Also check in online that way the receptionist can printyour file & simply print & have you sign it will save at least half hour off your check in. Dr Sakee is kind and professional. After my appointment I needed to speak with him again so I called and asked for him to call me & he did call me when he had time about an hour later. He won me over I love that we can stay in contact if I need him. That really made me feel great I appreciate that. This was a great visit! The front desk was extremely professional and kind. I did have to review the forms I sent through ZocDoc. The wait time was short, but the small waiting area was pleasant. My cleaning was great andthorough. The doctor listened to my concerns and validated my pain; which is hard to find. He explained the concerns he found and even walked me through what treatment options I had and what would be covered by my insurance. Even though I had to travel 90 minutes, I would do it again. I just found my dentist. Yay adulting! Dr. Sakhaee and his team are awesome. I’ve been going to this office for the last few years. The front desk is always polite. The office is always clean. Both the doctor and his assistants always take their time answering allof my questions. The hygienist is great as well. Can’t wait for my next cleaning. Dr. Sakhaee and his team never fail in putting my mind at ease. I walked in and the check in process was effortless. The front desk is always polite. The waiting area and office is very clean. The dental assistant, I’msorry I can’t recall her name, took my x-rays and chatted with me for a bit. She also made sure I was comfortable. I think she could tell I was nervous, but who isn’t when visiting the dentist?! Dr Sakhaee came into the room, reviewed my X-rays and took his time in addressing my concerns. I was relieved to hear the pain I was having didn’t require any sort of invasive procedure. I cannot wait to go back for my routine cleaning! Excellent doctor, very thorough, and pleasant. Very professional staff. I felt everyone went above and beyond. I highly recommend. Overall a great experience. He is an excellent dentist. Very friendly and intelligent. The office is clean and modern. He barely spent any time examining me the clinic was close to closing, he was obviously rushing out. He only sent me home with penicillin and nothing else for an impacted molar. No irrigation tools or mouth rinse, and now the infection has returned. My dental cleaning was excellent. Then, meeting with Dr. Sakhaee was good but not great. It had been a bit since I’d had an exam and cleaning. I was concerned about any potential cavities but Dr. Sakhaee began by talking aboutsome teeth crowding on the bottom and went right to suggesting Invisalign which is expensive and not covered by insurance. He also said I should buy a sonic toothbrush (more money) and that if I wanted teeth whitening I should avoid OTC options and have it done there. After getting all that out of the way, he mentioned in passing there were no new cavities. I’ll likely go back for my cleanings there but I’ll get second opinions on the other things. It was amazing. He went through the process closely. He cares about his patients. my visit was pleasant, the doctor was friendly and the place is clean, I highly recommend him. My son had his teeth cleaned.The dental hygienist was very kind and took his time with my son..All my question were answered.Overall I am very pleased with the visit. It's always a pleasure coming into the dentist office. I know many patients has a fear of doctors etc but Metropolitan Smiles makes going to the dentist much easier. Dr. Sakhaee and staff are the best! I would highly recommend anyoneto this office and I will be back for my next visit soon! Horrible. I arrived at my appointment 15 mins earlier to do paperwork and I had to wait 1 hour and 30 mins. Then when they put me in the chair I had to wait longer. The lady who cleaned my teethand took x-rays was very nice. But they only have like 5 people working so that is why there was a long wait. They need more staff. Friendly and quick. For a person who hated going to the dentist I am not dreading my next appointment! The entire experience was A+. The receptionists were polite and attentive. The hygienist was gentle yet very thorough. The doctor was very kind, explained everything and gave options to consider. The office was very clean and up to date. Wegot cleanings, cavity filled and impression taken for an implant. It was our first time and we will definitely be back. Dr. Sakhaee and team are the best! For years I settled with a dentist that was always behind schedule and rushed through procedures. Here I feel that the team cares, they're friendly and professional. Not only is he my dentist butI just finished Invisalign treatment and I couldn't be happier! I actually enjoy my visits, I appreciate the appointment reminders and the clean, spacious office. Even if I leave the neighborhood this Dentist and team will still have me as a patient. Thank you Dr. Sakhaee and team for all of your efforts! My dental bridge came out on a Sunday due to my lack of responsibility of taking care of it and my fear of going to the dentist . I called few dental offices to see if they can re cement butwas told since they didnt do the procedure they cannot help or that they were not open on Sundays. Dr Sahkee office was able to take a look and offered services right away. I would recommend this place. This was the BEST dental experience I ever had! The office staff were so nice. The office was clean, sterile, & everyone was efficient and helpful. The dentist and hygienist were so thorough and answered all my questions. The dentist wasso precise yet fast with the visit. My appointment was 2 pm. I came for 1:45 pm, got seen at 2:05 pm & was out the door by 2:30 (I got fillings done). Overall; amazing experience. I met Dr.Artin for a few minutes only,He just recommended to me some options. Another dentist did the job. Everyone was very polite and friendly. The facility was kept clean. My wait time was very short which is such a good thing. I’ll recommend this place to anyone. I was really happy with my visit. The staffs are friendly and I was happy with my cleaning service. The dentist didnt have to do much because my results was good. Have you ever woken up in a cold sweat the night before a dental appointment? I am leaving this review for fellow dentist-phobes: Dr. Sakhaee is the best! As someone with a life-long fear of dentists, I can't recommend him enough.From the moment you walk into the office, everyone who works there treats you with respect and kindness. The office is run efficiently & professionally. Before I left, the receptionist reminded me about a question I asked on the phone earlier in the week. This may seem like a small thing, but attention to details like that make a difference. Dr. Sakhaee listens to your questions, takes the time to respond, and does not rush you. Most importantly, he is a wonderful dentist. As someone who is VERY afraid of dentists, I can't recommend Dr. Sakhaee enough. Everyone in the office was incredibly professional, efficient, and respectful. Dennis, the dental hygienist, was extra gentle after I explained that I was nervous.Dr. Sakhaee took the time to explain everything and answered all of my questions. The office is exceptionally clean and well-run. The receptionist was wonderful too. Thank you Dr. Sakhaee! Clean & modern office, great team, awesome doctor; I am going back! Amazing staff that is well trained to make the patients happy. Very welcoming environment and excellent level of professionalism and friendliness. My implants fit perfectly the first time! I had a serious dental,phobia until I met Dr, Sakhaee. He is patient, explains everything and gives very,personalized care. He works with,me and around all my fears and gagging. He is the,best!!! Once again it was a great visit. The tooth extraction was painless and very quick. The staff was very friendly and helpful. Dr. Sakhee is by far one the best dentist that I have been to. He is patient and he takes his time to talk with his patients to explain and answer their questions.